Robert was a magazine editor in Washington D.C. before moving to Maine where he and his husband Ted built a house together. While living in Maine, Robert published four novels. The two then decided to look into Kendal at Oberlin, and it became a decision that neither man regrets. With high praise like that, it’s no wonder that Robert feels right at home at Kendal with his background and interests. Without the need to take care of mundane things like shoveling snow, mowing lawns, and maintaining their home, Robert and Ted are able to devote themselves to more enjoyable pursuits. The two of them served together on the art committee at Kendal for four years as co-chairs. During that time, they helped establish the Kendal Gallery and the Community Gallery. After that time, they were instrumental in working to create the Friends Gallery. In 2004, Robert helped to create the “Eureka!” magazine that collects original works of fiction non-fiction, poetry, art and photography by residents of Kendal. In 2007, Robert became Secretary of KORA (the Kendal at Oberlin Resident’s Association). In 2008, he served as president. The following year, he was appointed to the Board of Directors of Kendal at Oberlin, where he served two three-year terms. It was during his tenure with the Board that he served on the Marketing Committee, which he loved. Robert is also an active member of the community at Kendal as well as in the city of Oberlin through his volunteer work as a member of the Allen Art Museum’s Visiting Committee (their governing board) since 2010. 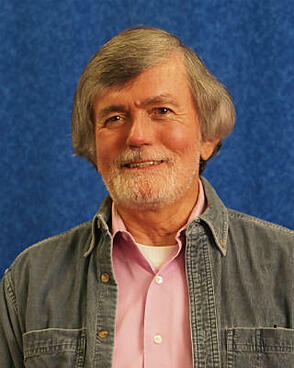 He also joined the Board of Directors at FAVA (Firelands Association for the Visual Arts) this year. Robert’s husband Ted is an artist who specializes in three dimensional art. He once taught for the summer arts program in Saratoga Springs, NY. A former student of the University of Maine, where he studied sculpture, Ted is now a studio artist at the Ginko Gallery, located in Downtown Oberlin. Ted heads up the committee for the Spring Fling at Oberlin, and is responsible for art and decorations for the event. This is no small feat, as it will take a group of 10 to 12 residents working three to four nights a week for three to four months in order to create all the decorations for this enchanting event. These artful decorations adorn the auditorium from April, when Spring Fling takes place, until commencement at Oberlin College in May. They are then removed and sold. Decorations that aren’t sold are donated to the public library. 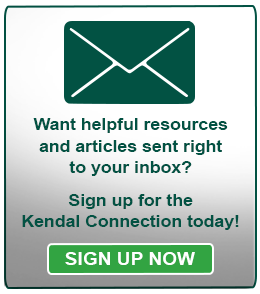 Needless to say, Robert and Ted are working together to make every moment at Kendal significant, by pursuing shared and individual interests and serving as voices for the greater Kendal community.